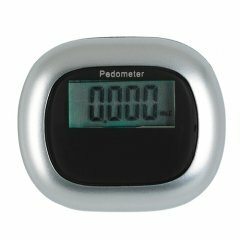 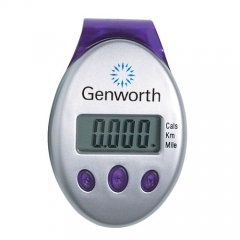 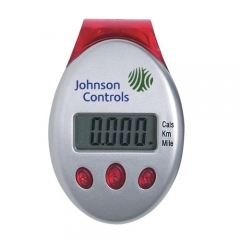 With a custom deluxe multi function pedometer, you can tell your customers that you care about their physical well being. 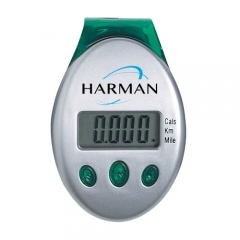 They can track the distance covered and work out more to achieve their targets for fitness. The device available in attractive blue color has a laser tuned pendulum movement. 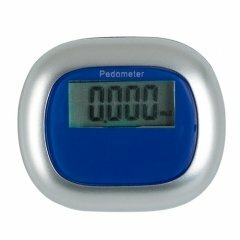 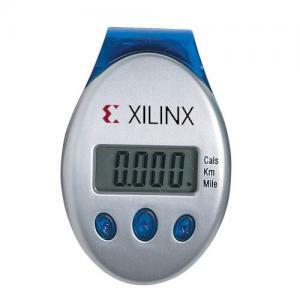 The personalized deluxe multi function pedometer serves your customers with three functions- counts steps, kilometers, miles and the calories utilized. 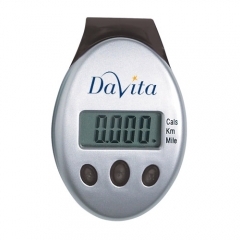 It can record steps from 1 to 99,999 and display the details on an easy to read display. The molded clip on back belt of the promotional deluxe multi function pedometer helps to clips it on to any position the users need.